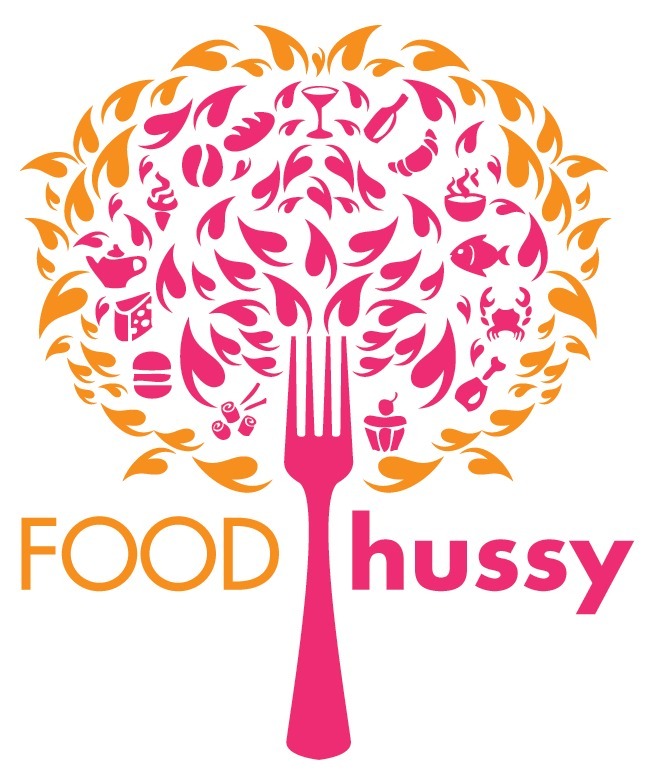 Food Hussy Recipe: Easy & Perfect Grilled Pork Chops | The Food Hussy! A perfectly grilled pork chop is a gift and it needs to be treated as such - with care! I know it sounds silly - but man - when you do it right - whooooooeeeeeee - it's good. The perfect grilled pork chop is 140-145 degrees (yes - I promise) and has a wonderful blush of pink. If you've ever heard someone say they don't like pork - it's probably because they overcooked it. "Pork is dry" - no - not if you don't overcook it! I came across a recipe for America's Favorite Pork Chop and decided not to mess with it. It could not BE more simple! Italian dressing + Worcestershire sauce - mix - marinate - grill. What????? Then I preheated the grill and got it super hot - all burners on. Then I turned off the left burner, turned the middle burner down to barely a flame and kept the right burner on. They take 8-12 minutes for a 3/4" chop - I babied them a bit back and forth between the direct and indirect because I wanted some grill marks. I'd close the lid for a couple of minutes - then check them again. The thing is - you should NOT just put them on and walk away for 15 minutes - NO NO NO! Hang out with them - bond with your chops! When they're at 140 - set them free! Get them off that heat and you're good! 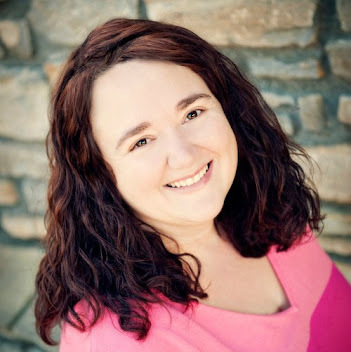 You want a blush of pink when you cut them open - so just trust me on this! They're safe to eat - if you want more info - check my Pork Myths Busted post! And then dinner is served! I also sliced some sweet potatoes lengthwise and popped them on the grill - a little olive oil and sea salt is all they need before you grill. 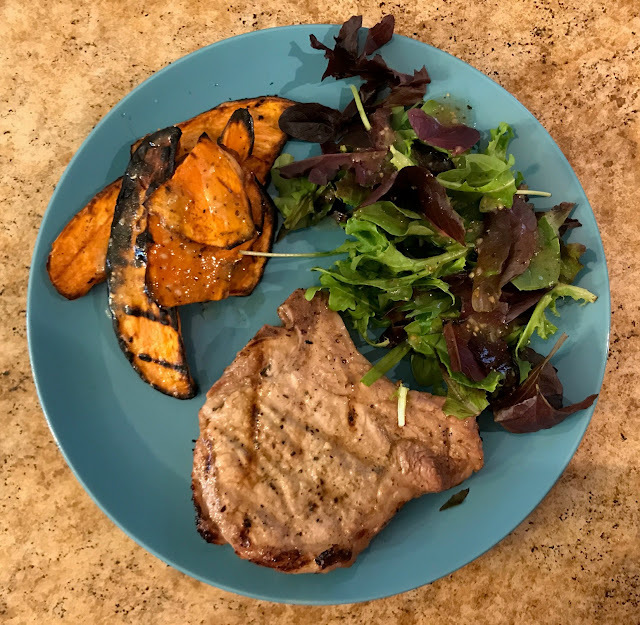 These pork chops were delicious and so simple! I'll take any recipe with 2 ingredients!!! I hope you enjoy them as well! Mix together the dressing & Worcestershire - pour over the chops and marinate for at least 30 minutes but ideally overnight. Grill for 8-12 minutes over indirect heat until temp registers at 140-145 degrees.